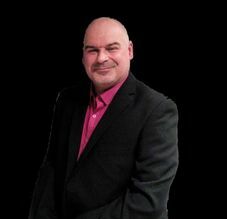 Paul Bradders Bradshaw is a English radio presenter/producer and has been in the radio industry for a good 33 years working on a variety of commercial/BBC radio stations. Bradders is well known for doing breakfast and drive time shows in which he has won a few radio awards for his outstanding knowledge and experience not just in his radio shows but his interviewing skill's with famous celebrities in the music and TV scene. The one and only Phil Easton took Bradders under his wing at the early age of 16 years old and mentored Bradders with his knowledge in radio/interviewing/road shows and the nightclub scene and working with a live crowd. I've worked in radio since 2009, starting out at Radio Broadgreen, under the guidance of Bradders. I went from presenter to producer to working on events, including doing nights at Lennon's Bar and Flanagan's as well as helping to promote charities such as Bradbury Fields.